Film Projector With Dramatic Blue Lighting And Selective Focus. Retro Film Production Still Life. Concept Of Film-making. Old 8mm Projector Is Turning Off. 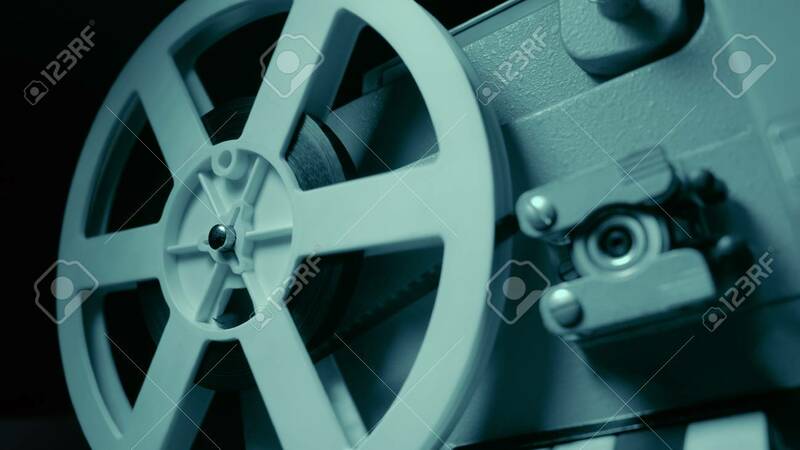 Close-up Of A Reel With A Film Foto Royalty Free, Gravuras, Imagens E Banco De Fotografias. Image 113743666.